Hey peeps. If you are active on social media you are probably already aware of the #IndieApril hashtag which is being used to promote independent and self-published books and authors this month. We are now more than halfway through the month, and to mark the occasion, the ebook edition of my first novel, The Exercise Of Vital Powers, is on sale for just £0.99/$0.99/€0.99 all this week. One of the inescapable truths about literature is that there is no such thing as a universally loved book. Even the most lauded work you have ever read has its detractors. In other words, one person’s masterpiece is another person’s trash. This being the case, every author knows that sooner rather than later their books will receive bad reviews, and yesterday I received my first ever 1 star review on Goodreads for The Exercise Of Vital Powers. I have since been inspired to write how I’ve chosen to deal with this unwelcome development. Greetings people. To say that I have been neglectful of my blogging duties this year would be something of an understatement. Regrettably, as much as I would like to be posting new updates on a regular basis (I certainly have plenty of unwritten posts I want to share), all my free time at present is being spent on writing my second novel while continuing to promote my first. In other words, I’m not likely to be in a position to start frequently updating the blog again before the end of May, at the earliest. Until then, this is a quick post to let you know I’m still breathing, and inform you of the most significant developments in my writing life since the turn of the year. As you may have noticed, it’s been a while since my last blog post. There are reasons for this, the principal one being that I’ve been focussed on my fiction writing for the past several weeks. After being sidetracked by a couple of novellas (that I’m still not sure I’m actually going to publish), I finally resumed work on the second draft of the sequel to The Exercise Of Vital Powers, that some of you are eagerly awaiting. With any luck you’ll get your hands on it no later than summer 2019; I’ve been making good progress on it over the last couple of weeks. Greetings folks. I just want to give those of you who are Reddit members a quick heads up that I am the “Writer Of The Day” on the R/Fantasy subreddit. For the next 10+ hours you can pop in an ask me questions. So whether you want to know my favourite books and authors or who my biggest influences are, feel free to drop in and join the conversation. Just click the link below. Can You Guess Who’s Been Interviewed? In a change from today’s scheduled post (which will now go up tomorrow) I’m just going to post three quick updates. First, I recently did an interview for the long-running book blog, Fantasy Book Critic, and that interview is now online for people to read. I’ve been a follower of the blog for five years, and it I feels surreal to be featured on such a well-known, established site. If you want to read the interview (and why wouldn’t you?) just click on the image below. Today marks the commencement of a free book giveaway hosted by Instafreebie that I am not only participating in, but actually organised. The “Heroine Chic” fantasy giveaway is a one week only giveaway offering readers the opportunity to claim a free copy of one (or all) of twelve books featuring a memorable female protagonist. 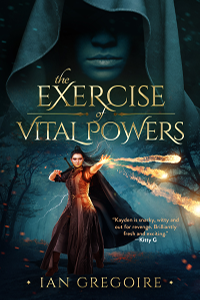 Obviously, my own novel, The Exercise Of Vital Powers, is one of the twelve books available, alongside eleven other titles by authors including Krista D. Ball and Donna Maree Hanson. At the start of the year I set myself the goal of reading ten books for the annual Goodreads Reading Challenge. As I mentioned in a blog post earlier in the year, the reason for setting such a modest target was that every previous reading challenge I participated in ended in failure. This was typically the result of never having enough time to read as many books as I would like. But this year, much to my surprise, I read my ten books by the end of January. At the time, the ease with which I successfully completed the challenge caused me to contemplate the possibility of reading fifty-two books by the end of the year―an average of one book read a week―although I’d settle for twenty-five. Today this seems like wishful thinking. 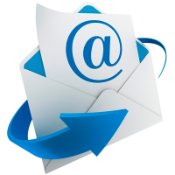 Get your minds out of the gutter people; the title of this post is in reference to how many newsletters a year I’m currently committed to sending out to my mailing list subscribers. I’ve recently come to the conclusion that sending it out on a quarterly basis isn’t regular enough. As a result I’ve decided to make it a monthly thing, starting this week. I think once a month is frequent enough for the purpose of keeping subscribers up to date, while not being annoying to the recipients. As you know, the second edition of The Exercise Of Vital Powers was released a week ago today. But how has it been faring in that short time? Do I have a bestseller on my hands? Am I giving J.K. Rowling a run for her money? The answer, of course, is no. Consequently, I won’t be relinquishing the “Worst Selling Author” moniker any time soon, although it is worth mentioning that the new edition has already sold more copies in a week than the first edition did during its eight months on sale. Admittedly, that’s not saying much, but I consider it a good sign that things are moving in the right direction.